Pretty all the artwork for Frozen Skies has been completed now, all thats left is to get the writing sorted. The last chapter thats needs to be finished is the adventures ones, in the process of writing up the adventure generator which I should hopefully have done by the end of the week. After the adventures chapters I just need to check through couple of other sections before the whole lot is sent off for proofreading and editing, then finally onto layout. It does mean, however, that I'm not going to be able to have copies for sale at UK Games Expo. Plan B is updating the Setting Primer and producing a print copy. The updated version has some minor edits, an expanded gear list and updated prices as well as the "Things Never Go Smooth" adventure to make it a bit more well-rounded. 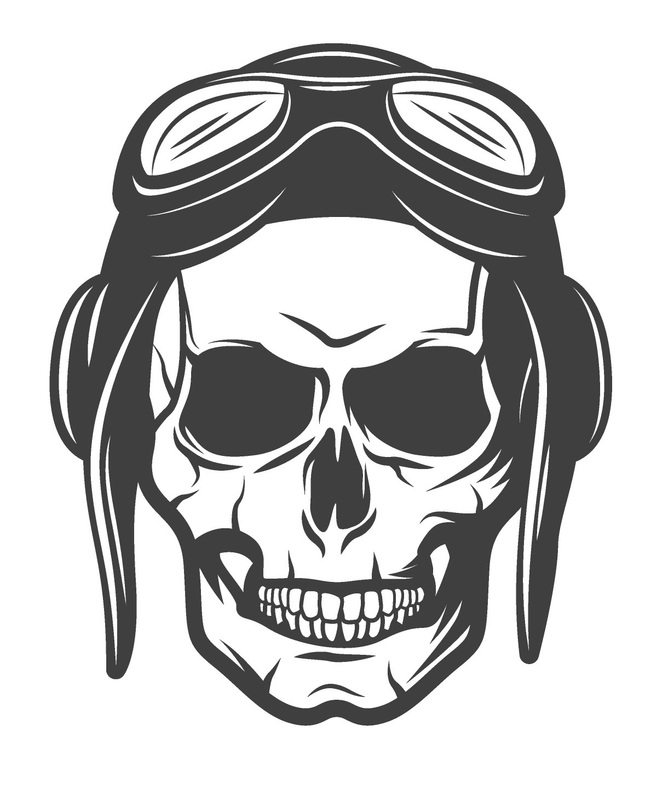 Also considering doing some custom dice (with the Pilot Skull wild card symbol above), but depends on price and time amongst other things. 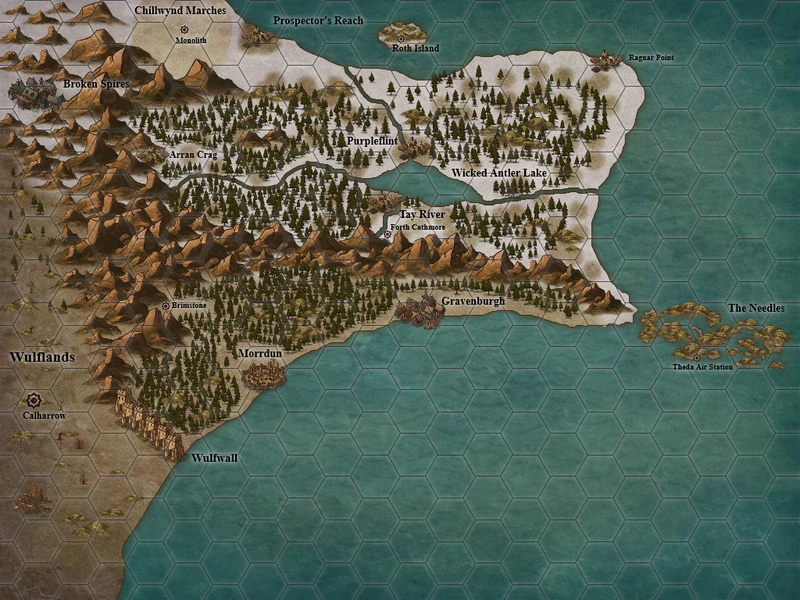 On top of that, also having a map done. 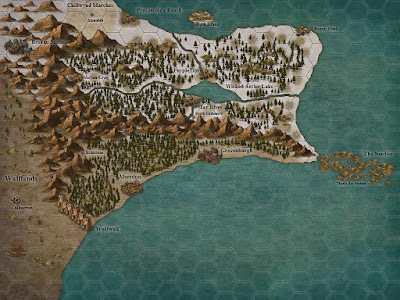 Below is just something whipped up in Inkarnate, but should hopefully give an idea of what the final map will look like. Certainly have a few ideas here. Have had an idea kicking around for a Frozen Skies related book called 'Skies of Crimson' that would focus more on the sky pirates, more details on Broken Spires and more aircraft stuff. I'd also like to explore the rest of the world of Darmonica, have a few plot ideas and the rest of the world has some solid foundations now. I'm also going to look into the idea of doing some cards with different aircraft on them, similar to the figure flats for Savage Worlds, for use with the air combat rules. There are also the various Setting Ideas I've had, plus the Cold War Skirmishes project I've recently started. With regards to the latter I'm thinking of starting with the ANZACs in Vietnam so that it can be tied into an exisiting product in the form of Tour of Darkness.